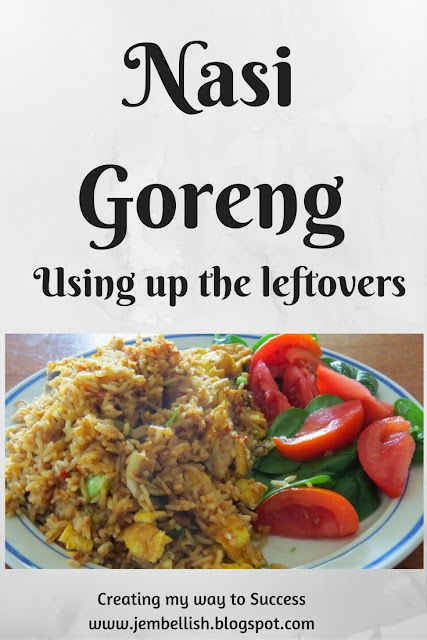 This was my tasty lunch the other day - leftover rice transformed into Nasi Goreng. Yum! After realising half-way through the month that I'd already spent our food budget for the month, I knew that I'd need to 'use what we've got' for the remainder of the month and get back to more baking and cooking. Something I've been a bit slack on lately. 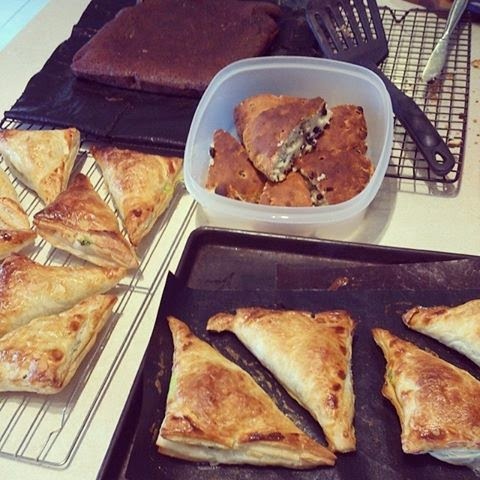 Last weekend I had a day's baking and stocked up on cakes and treats for the week: (brownies, honeyed scone ring and spinach and fetta triangles). I did make fried rice for a while, with bacon, peas and soy sauce, but the girls tired of that quickly. So what else to do with the left over rice? A couple of years ago we had a family holiday to Bali. 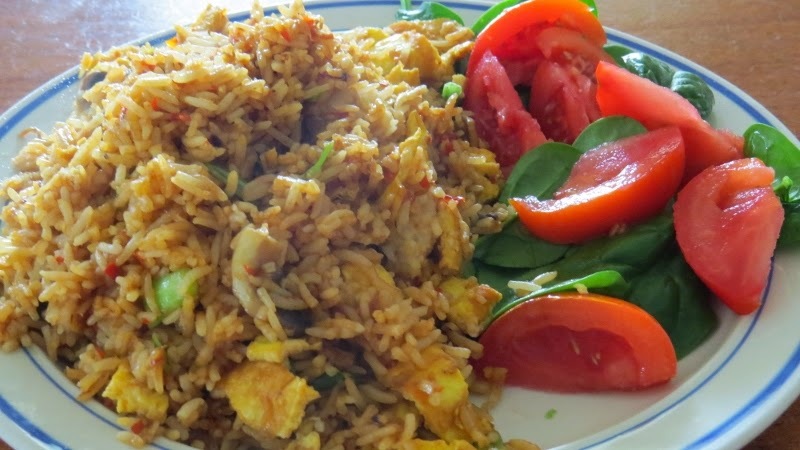 One of our favourite lunchtime dishes was Nasi Goreng. 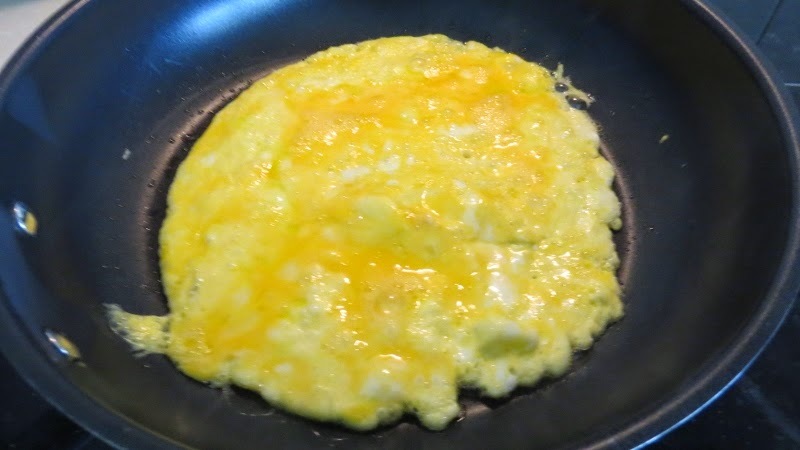 So first I made a quick basic omelette with 2 eggs. We always have plenty of eggs in the fridge. Then rolled this and sliced it. 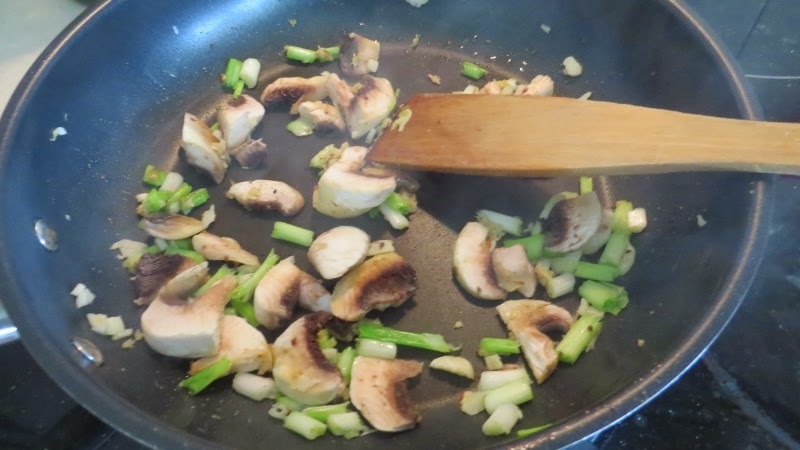 Next was getting some other ingredients out - fresh ginger, some garlic, mushrooms and spring onions. 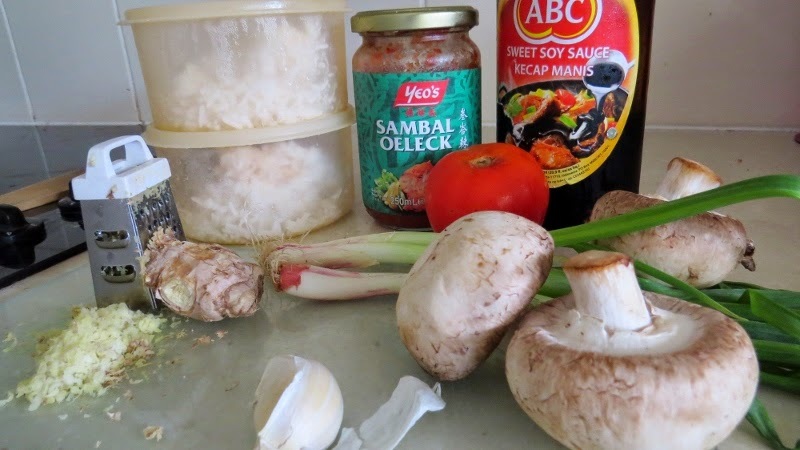 Then add the rice, some kecap manis (like sweet thick soy sauce) and sambal oleak (spicy hot chilli paste). When that was all mixed and heated through, I added back the egg and served it up with spinach leaves and fresh tomato! Very tasty, and I'll definitely be making that again with whatever veggies I've got in the fridge! 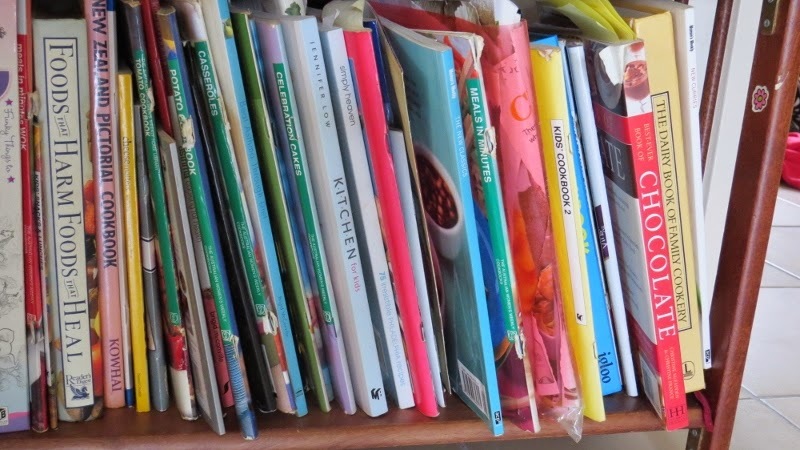 With my plan for this year to 'use what I've got', and the smashing of this month's food budget, I've been prompted to start looking at my many under used cookbooks to create some tasty meals and treats with what we've got in the pantry and fridge! I'll let you know if I find any more tasty recipes!! Thanks Michelle - it's a really simple tasty recipe! This looks yumm! 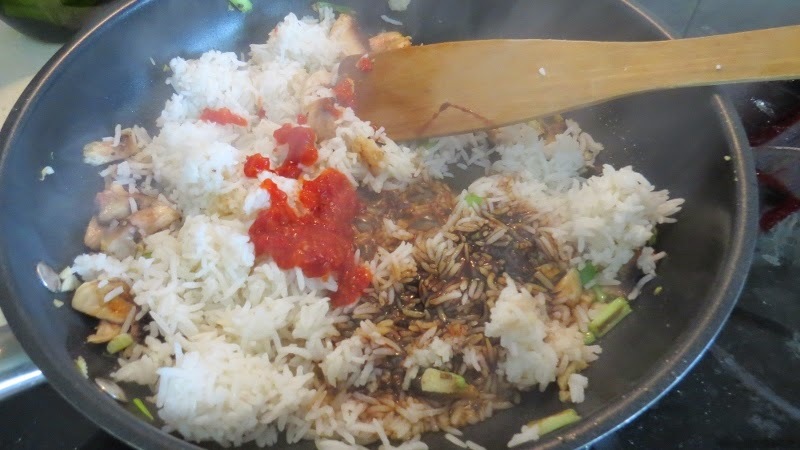 We cook rice once a week, so yea, it is sometimes left. 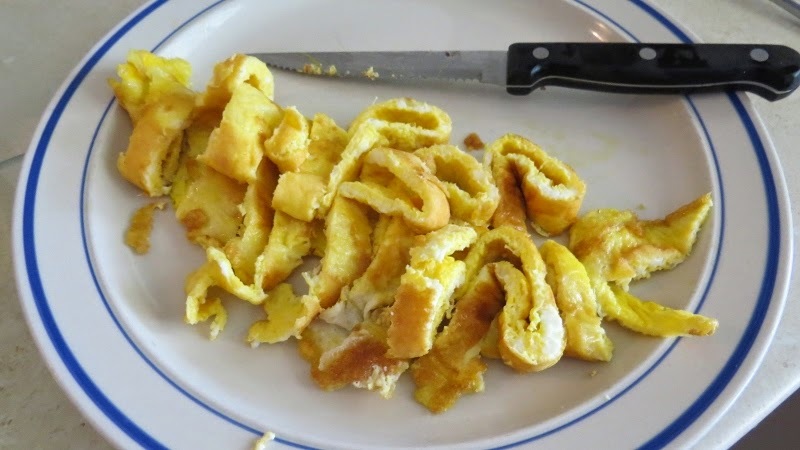 I shall try to make such dish for my hubby but specillay. We also always have eggs in the fridge. You should definitely try it Anna - so tasty, and you can use just whatever vegetables you have for it! One pair of jeans totally upcycled! Uniforms upcycled to bags - all finished! A quirky koala mascot - a jeans upcycle!